While on your way to a remote island for your latest story, your boat inexplicably crashes. When you awake, you find yourself trapped and fighting for your life! Nothing is as it seems on this island as you traverse through ancient grounds to escape your captors. What's more, a strange fog has begun its invasion onto the property. 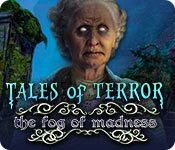 Do you have what it takes to uncover the story behind the mysterious fog and escape with your life? Find out in this thrilling Hidden-Object Puzzle adventure!